Thanks to the likes of Ruth Negga, Zendaya and Celine Dion, it was a pretty good year for red-carpet fashion — if little else. Looking back at the standout red-carpet moments of 2016, we noticed a shift towards experimentation, with many celebrities and their stylists pushing the envelope, embracing the streetwear movement and committing more fully than ever to a unique #aesthetic. In other words: People seemed less afraid to be themselves. They say fashion is a reflection of the times, and while the times were basically garbage this year, there were some pretty damn good clothes. We saw Celine Dion undergo a thrilling fashion makeover under Zendaya&apos;s stylist Law Roach, while "Loving" actress Ruth Negga established herself as the year&apos;s breakout style star (with some competition from Gucci muse Soko). Meanwhile, Kristen Stewart somehow got even cooler, Lady Gaga chilled out a little and Jaden Smith proved he&apos;s never met a statement coat he didn&apos;t like. Read on for those whom we felt were the best dressed men and women of 2016, along with some of their best red-carpet moments. Think we missed someone? Feel free to tell us in the comments below. If 2015 was the year Zendaya caught our eye as a style star in the making, 2016 was the year the 20-year-old solidified her status as a full-blown red-carpet luminary. With help from her stylist Law Roach, she consistently manages to look poised and elegant, while also taking some serious fashion risks and supporting up-and-coming designers. While all of the Instagirls have become trendsetters with their off-duty style (and many of them share the same stylists — Monica Rose and Elizabeth Sulcer), we think Bella Hadid&apos;s is the coolest. She&apos;s not afraid to break the rules or display a near-obscene amount of thigh, and she does it with utmost confidence. With her boho-chic days well behind her, Sienna Miller still possesses that preternatural ability to make even the most formal pieces look like she just threw them on without a thought and walked out the door. 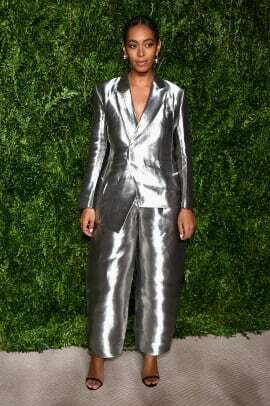 Her stylist, Kate Young, takes full advantage of that and we&apos;ll never cease to enjoy viewing the results. Twenty sixteen was another very stylish year for fellow Kate Young client Dakota Johnson, who looks as hip and casual in a long, diaphanous gown as she does in jeans and Gucci boots. Timeless flirty and feminine dresses work exceptionally well for Emma Stone, and with help from her stylist Petra Flannery, she&apos;s taken some of fashion&apos;s most fun and glittering frocks for a spin on the red carpet this year while promoting "La La Land." Still, she manages to never look too precious or overdone. Do we even need to say anything about Rihanna? Whether on stage or on the street, her effortless mixing of basics with the most-hyped streetwear pieces and sought-after runway items is borderline genius. Mel Ottenberg is a great stylist, but, as evidenced by her own recent foray into fashion design, she deserves a lot of the credit herself, too. 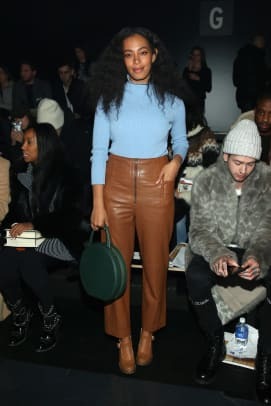 Solange&apos;s painstakingly stylized videos and performances for "A Seat at the Table" have been nothing short of visual masterpieces, thanks in large part to her thoughtfully daring clothing from a mix of established and under-the-radar designers (with some pieces by her mom Tina Knowles thrown in). She&apos;s been on a monochromatic tear lately, and has us thinking more about our own day-to-day color stories as a result. Ever since those first shots of K-Stew going barefoot or wearing Converse on the red carpet surfaced, we&apos;ve known that the actress hasn&apos;t been totally comfortable with the whole "gown on the red carpet" thing. This makes it all the more fun to see what she and stylist Tara Swennen come up with to honor her casual preferences while keeping things "appropriate." From Vans and a leather jacket, to a cropped tee with a pencil skirt, to suits with nothing underneath, her cool combinations just keep getting better and better. It&apos;s really no wonder she&apos;s earned the plum position as one of Karl Lagerfeld&apos;s Chanel muses. Sartorially (and also hair-wise), Alexa Chung can simply do no wrong. She will always be on this list and I will continue asking myself: "Do I want this because I want it or because I saw Alexa Chung wearing it?" British actress Naomie Harris has had great style for a long time, but with two big American films out this year ("Moonlight" and "Collateral Beauty"), her profile rose significantly. She recently hired stylist Micaela Erlanger — the same woman who helped catapult Lupita Nyong&apos;o to style star status — so she&apos;s definitely going to be one to watch during the upcoming awards season, for various reasons. Another one to watch this awards season is Ruth Negga, who we&apos;d argue was the biggest breakout red carpet star of the year, wearing all the best Rodarte, Gucci, Givenchy and Valentino that being a wonderful actress — and working with stylist Karla Welch — can buy. Negga capped off the year with a January Vogue cover, so we suspect we&apos;ll be talking about her well into 2017. You&apos;ve now arrived at the most depressing point of this roundup, which is the reminder that 2016 was Michelle Obama&apos;s last full year as First Lady. In addition to her many contributions to this country, she&apos;s also done a lot for fashion (which we&apos;ll delve into more next month). 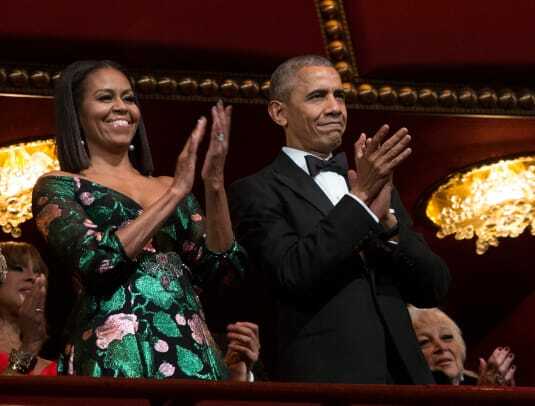 Obama did not disappoint during her final year as the most stylish first lady of our time — taking more fashion risks than ever, perhaps — wearing designers like Narciso Rodriguez, Brandon Maxwell, Versace, Gucci and more, with aplomb. 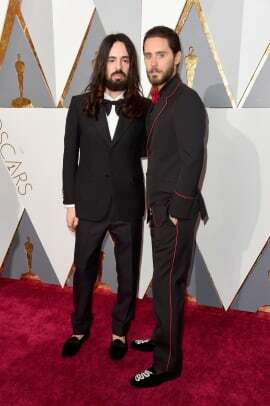 Initially, we were going to separate these two dapper men on our list, but they appeared on the red carpet together so frequently that we thought, why not kill two birds with one gallery? Page views be damned! 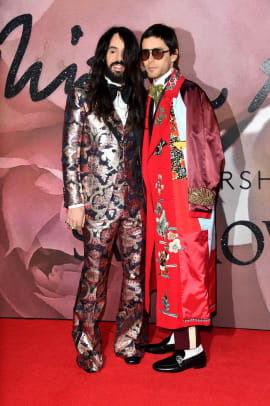 Honestly though, this duo, adorned consistently with the zaniest of printed Gucci suits and statement coats, fills us with glee every time they hit the scene. Does anyone wear a suit better than Ryan Gosling? I mean did you see "La La Land"? OK, then. We didn&apos;t mind the down-home, cut-offs and t-shirt look Gaga adopted while promoting "Joanne" this year, but we also occasionally missed the zany, over-the-top, aggressively Fashion Gaga at times. Fortunately, she gave us a few of those quintessentially Gaga moments (thanks to Marc Jacobs and Versace), as well as some timeless glamour courtesy of her longtime stylist (and designer) Brandon Maxwell. If you&apos;ve been sleeping on Petra Collins&apos;s amazing style, it&apos;s time to wake up. As a fashion photographer on the rise (and Gucci muse), Collins perfectly embodies the dreamy, vintage-inspired aesthetic she&apos;s so good at capturing on camera. Speaking of dreamy, the younger Fanning sister — styled by Samantha McMillen — slayed during her "Neon Demon" press tour and beyond, serving a slightly more mature approach than her typical whimsical aesthetic. She is 18 now, after all! Hands down, the ultimate celebrity fashion evolution story of 2016 was Celine Dion, who began working with Zendaya&apos;s stylist Law Roach. Wearing everything from Vetements to Gucci to Yeezys, the Canadian vocal powerhouse has never looked cooler. Cate Blanchett, who&apos;s styled by Elizabeth Stewart, is another unwavering best dressed-list mainstay. She doesn&apos;t just look good — she looks positively regal in gowns that few others have the innate grace and confidence to pull off. Noted fashion-loving and deeply philosophical millennial Jaden Smith did not meet a statement coat he didn&apos;t like in 2016. 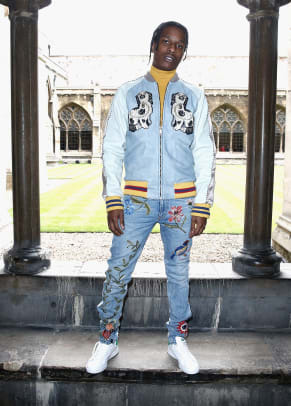 At the risk of sounding cliché, he marches to the beat of his own fashion drum, and many brands — including Louis Vuitton, whose spring 2016 womenswear campaign he starred in — are taking notice. 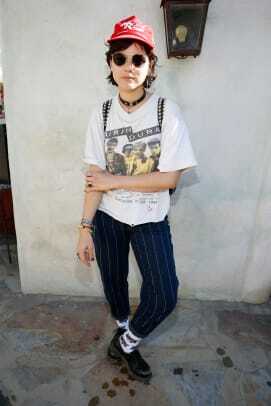 Soko was the style star who came outta nowhere (nowhere being a relationship with Kristen Stewart and a film that premiered at Cannes) this year. Brands like Gucci and Miu Miu have wasted no time clamoring to dress her. Truly, 2016 was the year of Hari Nef, and further proof that if you rock a lot of Gucci, you&apos;re guaranteed a spot on best-dressed lists. From her openness about social issues to her exuberant red-carpet style, we can&apos;t get enough of this whip-smart model. With the release of "Ex Machina" and "The Danish Girl," 2015 was a big year for stunning — and very stylish — Swedish actress Alicia Vikander, who is styled by Victoria Sekrier. But her Sienna Miller-esque ability to look perfectly at ease in every look, no matter how minimalist or statement-making, hasn&apos;t waned in 2016. She truly stunned in Louis Vuitton — for whom she&apos;s a campaign star — at both the Golden Globes and the Oscars early this year. Another awards-season star was Brie Larson, whose performance in "Room" yielded many wins — including on the red carpet, thanks to stylist Cristina Ehrlich. 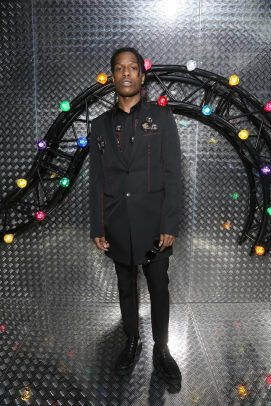 The fashion world embraced hip-hop in a big way in 2016, and A$AP Rocky embraced it right back, with a Dior Homme contract and Guess collaboration. We love a quietly flawless red-carpet dresser, and Sarah Paulson, who had many an occasion to dress up this year thanks to "The People v. O.J. Simpson: American Crime Story," has become one of our favorites. We&apos;re honestly not sure what Cannes jurors do besides show up at every film premiere looking amazing — and at that Kirsten Dunst succeeded in spades this year with help from stylist sisters Nina and Clare Hallworth. Dunst has always looked great on the red carpet, but really elevated her style for the glamorous French Riviera film festival. We don&apos;t know why Julianne Moore doesn&apos;t wear more color, since the green (greenery?) Givenchy dress she wore to the SAG Awards was one of our favorites of the year. We still admire her dedication to sequins, and really, she&apos;s so stunning she could wear a black trash bag to events and we&apos;d still be in awe. While they may not have made as strong an impact on the year&apos;s sartorial landscape as the aforementioned men and women, these five are still deserving of recognition. If you wore Gucci on the red carpet this year, chances are you're on this list. 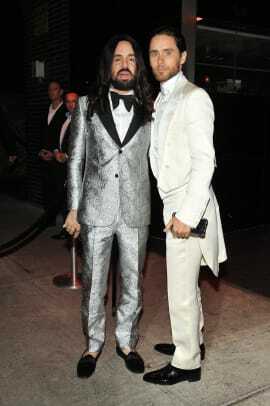 Check out this year's style winners. It’s been a very fashionable 2010, so to celebrate, we’ve decided to compile our first-ever list of the year’s best dressed. Professionally styled or not (most are not), these men and women have consistently gotten it right this year, or at the very least, impressed us with their individuality. For each actor, musician, model or industry person on our list, we’ve selected five of his or her best looks from the past 12 months, so hopefully this list is also full of inspiration. 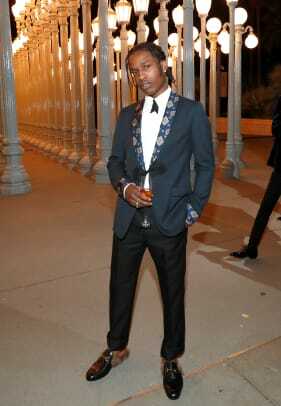 In alphabetical order, we present to you our top 30 best dressed of the year.